ROTF would have been the best tie-in movie game if they implemented the free roam from the 2007 game. For that alone, I prefer the 2007 game. Just casually roaming through Tranquility as Barricade was just so fun. It's such a shame they got rid of that after the first one for the most part. In any case, sorry to break the dream, but no, TF tie-in games anthology it's not going to happen. First because of Activision and Hasbro divorce, and second… because the most simple port would take a LOT of work. Is likely to happen depending on how Bumblebee does which goes into whatever is next in the series. But not under activision. Remake would mean full on remake. All assets from the ground up. Already went over that. Depends on financing more than anything. So if the financer that pushed for WFC/FOC, the movie games, and more across the industry came back and pushed for this, it is very likely to happen. Has more to do with that than it does which studio has the rights, and Hasbro is actively shopping around for a game company to work with as we're seeing with their Arcade work with Sega right now. So, not this year, but if Bumblebee does even half as well as it's expected to, that'll likely grease the wheels to move faster in getting something developed. But not at Activision likely. Though it could. I think Hasbro is more looking into other companies right now instead of tying the rights down as much as it was with Activision. And people being let go wasn't as much on "deadpool" as you may think, though whether or not that's the "excuse" who knows. Do keep in mind that a lot of "business talk"/"inner workings" isn't exactly aired honestly to the public. This goes for any company really. What they say and the real reason why aren't always the same thing in any industry. I'm pretty certain that "deadpool" story was entirely marketing spin, and not actually why. Especially considering what Deadpool's story was. And on the market, while it wasn't a smash success like other titles, it did sell to expectations and turned a profit. As for HMS, that's more towards pity work to keep it alive in case it'll be used later. It's effectively downsized to the point it may as well be closed but is kept alive in case other areas choose to use it again. Was an investor's preferred place for a bit of time before they decided to shop around more. So Activision is keeping it alive due to that, but it is effectively not capable of developing anything new, and nothing fully new developed by them is going that way for the time being. Might later, hence why the name is kept. That one's a longer story. and then activision closed them. Not exactly. High Moon suffered from Deadpool poor reception and a lot of employees were fired, but the studio wasn't closed and it's still open and working today. They were tasked to develop ports of the last Call of Duty games for PS3, then doing extra development for the most recents CODs and also helping with Destiny 1 and 2 missions. In any case, sorry to break the dream, but no, TF tie-in games anthology it's not going to happen. First because of Activision and Hasbro divorce, and second… because the most simple port would take a LOT of work. TT is out of that game, Luxoflux closed, and HMS doing Destiny and COD things. Even if it was tasked to another studio, trying to get the licenses and all the assets and updating the engines to current standars is not viable in any way. TT and Luxoflux tech was propietary, so people need to be trained in the tech and all that stuff… I call it imposible for an official release. Fan work in the other hand… Well, anything is posible in that regard. But still difficult to see anyone investing hundreds of hours to restore content from some of that games. This is a hard game. I'm stuck trying to beat Starscream and Brawl at the same time as Jazz in Mission City! Well good luck trying to beat him, cause Starscream and Blackout is gonna regen health everytime they do their flying attack. Deadpool isn't to blame for no more Transformers games. High Moon's lead financers backed out temporarily to pursue other ventures, and then activision closed them. They had no more work slated and none in planning stages. Deadpool was relatively successful and critically praised. This happens with game studios quite often. If they have no project on the board, the team gets dismantled and sent to projects that need the work. So High Moon was done for then. This happened to the Watchdogs development team too. Sequel had yet to be greenlit, so the team was "let go" as they can't have employees sit around doing nothing. But then everyone was brought back on board for Watchdogs 2 once it was greenlit. So to put that in better phrasing "we won't see another from High Moon." Seeing another game from a new studio is entirely possible. But not one under activision for now. So high moon reforming for a new title is unlikely since they're still under activision. Dark Spark was requested to go to another studio within Activision by the financer that backed WFC/FOC and the previous movie games. And it did have care. Possibly a little conceptually rushed before it was handed down to development teams. At the time, the concept design area that pitched the game was pre-occupied with other things. But that is what eventually led to Forge to Fight as a concept with how it does cross universe stories. It did stray off of the original financer's intent, but that was also to blame on that financer as they wanted each game to evolve and change it up, and the concepts area after the initial titles was being pushed for too much at once to develop anything solid on the last game. Plus other complications that have since been removed. TF Prime's game had no impact one way or another. It didn't have much invested in it on the game. Though TF Prime series is why FOC was changed on Cliffjumper to match up to then Aligned/Prime. Because WFC/FOC and the novel were part of the TF Prime universe. Though the series was more novel based. The games tried to push into aligned to better connect straying from some G1 roots it was supposed to have. And there were some other little issues. Activision lost both the Marvel rights and Transformers rights though so both Marvel and Hasbro could explore other avenues and companies. This is why we're seeing the TF Movie arcade game from Sega instead. Hasbro wants to diversify their gaming portfolio. This is why both Deadpool and TF games were pulled from the digital market place. They can't be sold digitally if Activision doesn't have the rights. They can be sold as hard copies though because some new of that is still in circulation, but no new copies of the games can be pressed since activision no longer has the rights. The biggest reason Hasbro pulled back to reassess though, has to do with cost. Newest gen is pricier to develop than 360 era stuff was. But right now they are investing in a classic arcade game style like Sega's Star Wars title was. And we'll see how things go from there. The lack of movie games is a market-wide thing though overall. They are costly to develop on new gen, unless they are a massive enough property and audience like Star Wars. So nearly all big movies don't do tie-in games. This is why Avengers barely got one, and the original plan for it got scrapped. They were pulling back to reassess as well. Though that FPS one was shaping up to be really good and was doing some interesting things since they did have rights to Skrulls for video game use back then. Ironman 2 is what cemented Marvel backing out of movie games overall. Only Spider-man stayed around as it was highly profitable akin to Star Wars in that way. With other properties going back to the drawing board for now. DC/WB had the same issue with their rights too, with really only Batman becoming profitable until Injustice. Which both of those had the same financers as WFC/FOC too. Same to Sony Spider-man really(the new one, which also backed some of the previous Spider-Man games). It's a rather long and windy development road of rights across many. But the higher cost of new gen, means projects had to be toned back and consolidated to slow build back up instead of the rapid fire approach that could be done in the 360/PSP/NDS/PSP Go/Wii era. Though thanks to Nintendo switch and some other recent industry developments, we might see a spike in some game tie-ins again later. As cost is becoming something that can be handled now and market is better sustaining again. But water testing things are in the works to make sure. I wonder why he can't dump the levels online, or more importantly why these levels were scrapped in the first place. There are a few interviews for the TF: game that show the hoover dam level in a near-completed state. But what happened to suddenly get rid of it all and only leave the repetitive hoover dam interior level, just to leave a chunk of the game's story/gameplay missing? I wonder if there was a plan of a port for the Original Xbox. I was told there was gamecube buttons, might of been left overs sense the game uses the same engine as the games that came before it (bionicle heroes and lego star wars). There could of been a gamecube port but it might be left overs. And the original xbox didn't do to well after the 360 came out. Like I said. Depends if a profit can be made. Games have gotten too pricey to develop for movie tie-in stuff. That's why they all stopped. But if a property is big enough and the game premise is fun enough, it can still happen. Though yeah the mobile market and apps are cheaper to flip into a profit because of in app/game purchases. But we are due for a good triple A title in a few years. Based on the lower numbers Devastation and WFC/FOC did though(WFC did well, FOC was mixed), we're more likely due for a movie game then a G1 one again. Likely using similar assets. Depends what's in the planning stages for the next TF movie. But that would be a good place to try it if Bumblebee's box office surges from interest. A good 3ps action game would be fun too. But maybe a little more open than a standard Musou game. While that's fun, it can get stale if too limited. Something that mixes elements of the newer DW games would be a good way to go. Where it's musou and sandbox. And a cybertron BOTW style game would be pretty fun too, but the amount of development needed for that would be costly. Which honestly makes me slightly more frustrated games like Wolverine's tie in game or Deadpool didn't expand the replay-ability as much as they should have with side characters. Like the Arkham games did. I doubt we well be seeing a movie tie in, In more recent years they started disappearing. sense it's easier to make a app and call it the official game. But I do think we well see another home console transformers game. People are taking licensed video games more seriously and not as a cheap cash in. High moon showed us they cared about the franchise, and all edge of reality did was reuse models! Actually can happen as a movie anthology game(Say for whatever the next TF Movie is after bumblebee if it included all of them as part of it, or the film tied into those like how Bumblebee does). But yes would need new assets unless Hasbro re-signed to Activision. So a remake would mean literally remake, as in remake everything. FOC was always intended as a port also. There'd be no real reason to remake that title. Based on sales numbers a port was all. The areas it ported to could upscale so that was good enough. Market wouldn't sustain any massive overhaul on a port and let it still be profitable. This is actually something Hasbro should be looking into. Taking their video game experience with Activision and Vicarious Visions, and then looking into taking what worked to make a game people would want to play and rave about. Using the best elements of them like the sandbox engine the DS one and first game offered, and expanding on those concepts. With of course new assets. The main basis of the story is their own, so that can transfer over. The real issue is whether or not the development cost could be turned to a profit in sales and if it'd move enough to warrant it. If it would, then it's a likely venture, if it won't, then it's a scrapped concept before wasting the money on development. …yet somehow what is essentially him (red Bee repaint with green eyes) without a name had already existed 7 years beforehand. Coincidence? I think not! And then the ROTF game for PS3 basically showed a much faster and better designed version of what this was and I promptly jumped ship because I then could see just how ridiculously frustrating this was and had no reason to play it. I mean props to the team for what they did in what was obviously just supposed to be a quick licensed cashgrab but this game is… no. Wow, that's a hundred times more interesting than I would have anticipated. 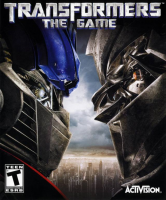 Also how funny is it that Barricade's death at the hands of Optimus ended up being cut from both the film and the video game tie-in for different reasons. Barricade's death was featured in the novel. Gamehut posted this video today going more in depth with the scrapped Hoover dam level. There is also a decepticon Version but he never showed it off. The game was so bad I don't feel like watching it to find out. This is absolutely the worst game I have bought in a long time. I don't think I've gotten one worse since. I was doubly burned because I bought the "Collector's Edition" which just came with another disc in an envelope stuffed inside the game case. On that disc was about 8 minutes worth of content that had already been on the YouTube for months. Game was sooooooo bad lol.